Subtitle: Incessant news stories, plus ineffective bargaining with North Korea, have convinced peoples of the world that this backward nation does possess nuclear weapons and can deliver them to short and medium distances. But, for the Plan to be worked out completely, people have to believe that North Korea can deliver nuclear warheads 10,000 miles away. Alone among End of the Age ministries, Cutting Edge has insistently stated that a nuclear confrontation on the Korean Peninsula was part of the planned World War III scenario which will produce Antichrist. 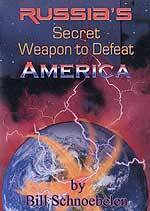 As the above quote from "The Armageddon Script" clearly indicates, the Illuminati plans to stage a most frightening nuclear confrontation on the Korean Peninsula. For this reason, the world has been treated to seemingly countless stories concerning the nuclear arms capability of North Korea. The Administration of President Bush has held many 6-nation talks with the North Koreans designed to end their nuclear capability, none of which has been successful. Let us examine the stories Cutting Edge has posted on this North Korean nuclear confrontation over the years. Please note the date these articles were posted. In addition to these articles, we have covered North Korean developments in repeated Newsletters throughout the years. For almost 10 years, Cutting Edge has taught that the Illuminati Plan for World War III includes a very frightening nuclear confrontation on the Korean Peninsula. During this past decade, Americans have learned to accept as reality that North Korea possesses nuclear weapons, just as she claims, and that she can deliver them on accurate theater and regional missiles. However, for this part of the Illuminati Plan to work, peoples throughout the world must believe that North Korea possesses a long-range ballistic missile which can hit targets 10,000 miles away. North Korea has never demonstrated that she has that capability. But, now, a moment of truth has seemingly been reached. "North Korea has test-fired at least six missiles, including a long-range Taepodong-2, despite repeated warnings from the international community. US officials said the Taepodong missile - thought capable of reaching Alaska - failed shortly after take-off, while the others fell into the Sea of Japan. The US called the tests 'provocative' and Japan has announced sanctions. The UN Security Council is due to hold an emergency meeting later on Wednesday to discuss the developments. The closed UN session was requested by Japan, which said it was coordinating its response to the missile tests with the US and other countries ... Australia said it expected North Korea to make further test firings." For over a week beforehand, western intelligence had been warning that North Korea was preparing to test-fire long-range missiles. Pyongyang vacillated between denying these reports and stating that her exercise of national sovereignty allowed her to conduct such tests if she felt it was within her need to do so. Finally, on the day Americans were celebrating their Independence Day, North Korea fired 7 missiles, including at least one long-range ballistic missile. The White House was quick to condemn this test-firing. It should be of little consolation that the ballistic missile failed and crashed. As this BBC news article noted, above, Australia expected North Korea to conduct further test firings. Story after story after story will now break upon the world scene, detailing how North Korea is gradually gaining greater sophistication in her three-stage rockets, until one day, we shall be subjected to news stories telling us that she has perfected that capability and is now able to hit targets 10,000 miles away. 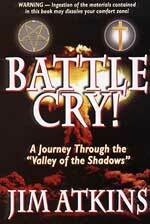 "A hair-raising nuclear confrontation in Korea may, towards the end of the period, threaten man's very survival." As news reports intensified that North Korea was ready to test fire an intercontinental ballistic missile capable of hitting the United States, the Bush Administration resorted to "Texas-style" cowboy bravado. Now, everyone will realize that America's defense system will not work. Even if North Korea never actually launches a test missile, people the world over will know that no nation -- including America -- has a missile defense system which can protect them. Therefore, once the "nuclear confrontation on the Korean Peninsula" gets underway in earnest, people will be terrified for they will know that this little nation given to insanity amongst its leadership can actually deliver nuclear weapons at least 10,000 miles away. An embarrassing scenario might actually be planned, for that would truly condition people to believe that they are defenseless -- exactly the kind of belief people must have for this scenario to have any chance of success. 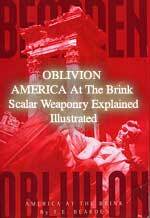 However, what no politician is talking about is the reality that America's HAARP electromagnetic wave technology currently provides this country with a 100% effective missile shield (NEWS1207 ) as does Russia's Scalar Wave system ("Oblivion" Book and DVD "Russia's Secret Weapon"). Both America and Russia has this complete protection against missiles now in place, operational 24 hours per day, 7 days per week! 3) They are kept in the dark concerning the American and Russian capability to provide a thorough missile shield capability. News reports are obviously indicating to the discerning observer that the world has entered a final phase leading up to the beginning of the World War III to produce Antichrist. Once Israel has withdrawn from the West Bank, she will be ready to go to war, a most important consideration since the Illuminati plans for her to be the trigger for the world war (NEWS1056). Once Israel is ready to go to war, the Korean Peninsula nuclear confrontation plan must also be ready to be fully implemented, and China must be ready to attack Taiwan. Can you hear the approaching hoofs of the Four Horsemen of the Apocalypse?